Cal’s four male divers made their first splashes of the calendar year down in Los Angeles at the UCLA Diving Invitational this weekend. As a group, the Bears finished fourth out of eight teams in their largest tournament of the season. 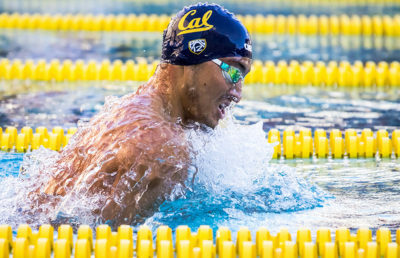 After two weeks of high-altitude training in Flagstaff, Arizona, Cal divers participated in the three-day invitational at Spieker Aquatics Center. Each day featured one event, with the top 18 from the preliminary round advancing to the finals — same as the NCAA format. Sophomore Connor Callahan led the way for the Bears, finishing tied for sixth overall despite only competing in two of the three days. Callahan placed fourth and fifth in the 1-meter and 3-meter, respectively, despite posting his lowest scores of the season. On day two, which featured platform dives, he was sidelined because of an illness. Freshman Johnny Robinson posted a personal best this season in platform en route to a 13th-place finish. Robinson was unable to replicate the success he had at the NAU Lumberjack Diving Invitational in November in the 1-meter and 3-meter, however, falling nearly 50 points shy in the 1-meter and 130 points in the 3-meter. Both Robinson and Callahan have qualified for the NCAA Zone E Diving Championships, which will take place in the thin airs of Flagstaff, Arizona. Robinson scored 330.05 in the finals of the 3-meter at the NAU Invitational to qualify, whereas Callahan qualified in the first dual meet of the year at Utah with qualifying scores of 329.7 and 321.3 in the 1-meter and 3-meter, respectively. Freshman Jackson Gabler had a better overall performance than Robinson at the invitational, finishing in a three-way tie for 10th place overall. 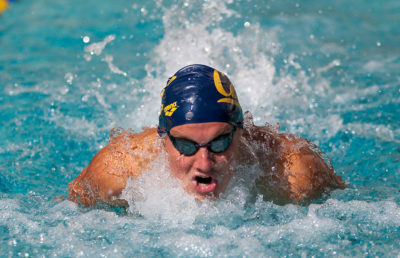 Gabler, who missed the qualifying mark of 300 points in the 1-meter by two-tenths of a point at NAU in November, was unable to punch his ticket to Zones in the warm waters in Los Angeles. Competing in his first ever collegiate competition, freshman Jared Kloos finished a respectable 12th in the platform with a combined score of 476.65 through two rounds. The UCLA Diving Invitational marks the final tournament competition of the season before the Pac-12 and NCAA championships. With four dual meets remaining against Arizona State, Arizona, USC and Stanford, there are still plenty of opportunities for Gabler and Kloos to earn their ticket to Zones in March.